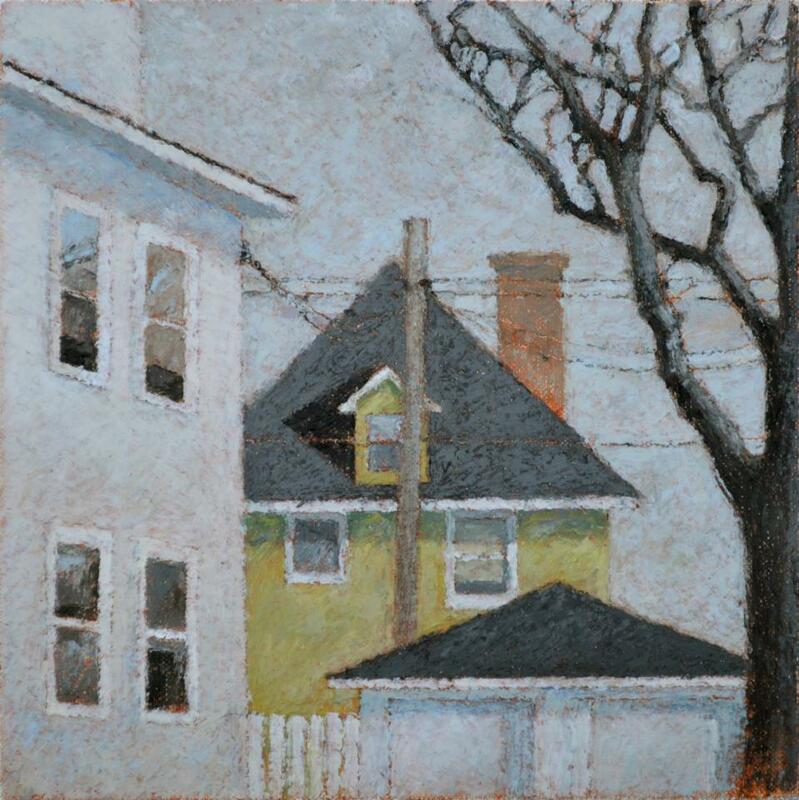 Bismarck, North Dakota artist Mike Paul depicts small town and rural life in the Midwest and on the Great Plains. The presence or absence of trees is the principal difference. His crabbed and fragmented vistas reduce the city to ordinary intimate yards bound by textured surfaces of fence and wall, in this case rendered in encaustic, an ancient medium where granules of pigment are suspended in wax. Unlike the opacity of acrylic, and surpassing even the depth of oil paint, encaustic colors often appear translucent. “People Talking Without Listening” may be a comment on the superficiality of tweeted, sound-bitten exchanges that pass for communication in the early 21st century. Anyone older than fifty will recall the party-line system of early residential telephones, where people often listened without talking. By agincourtiowa in Landscapes & Livestock, Uncategorized on Friday/10/May/2013 .